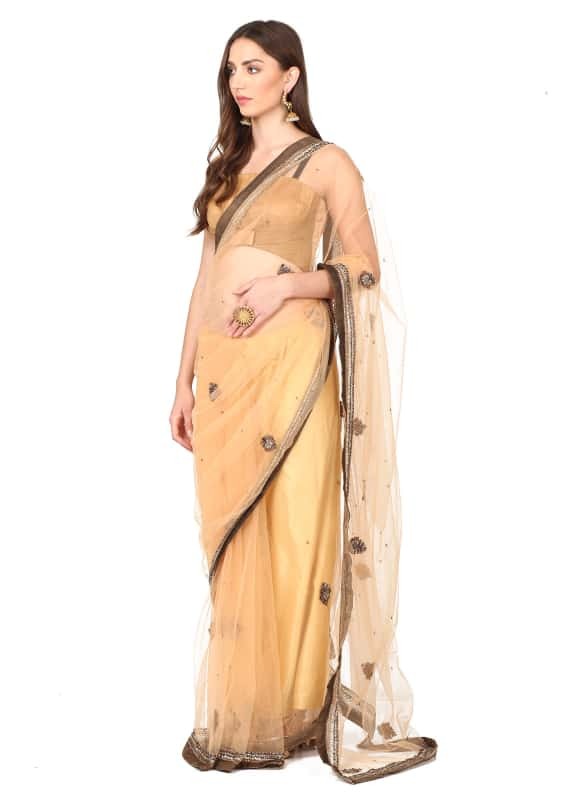 This ensemble features a peach net sari with floral motifs scattered all over. 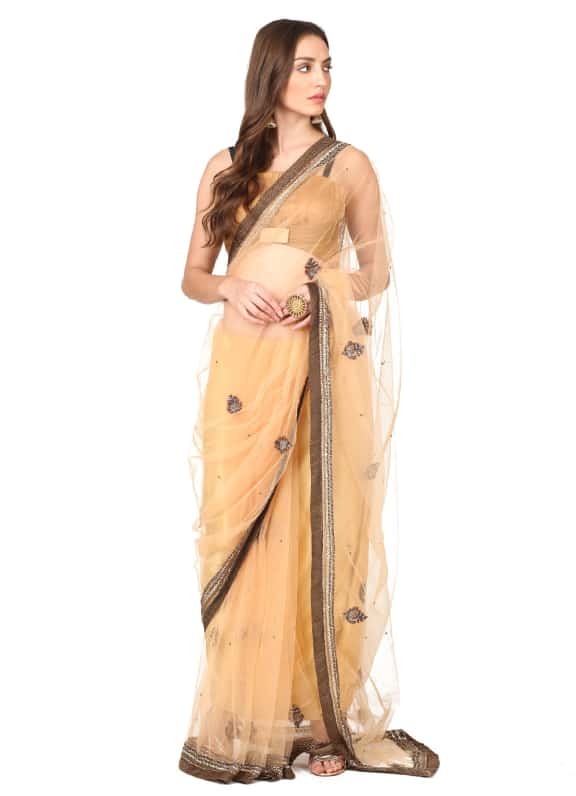 It is paired with a ruched chiffon blouse. With delicate hues and intricate embroidery, this outfit makes for a perfect pick for a mehendi ceremony. Style your look with a pair of earrings and ring by Amethyst.